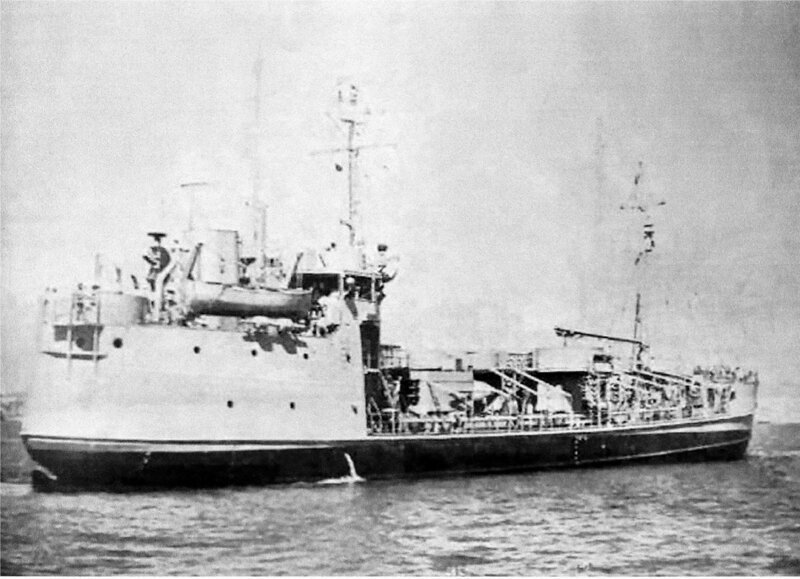 Laid down, date unknown, as a Maritime Commission type (T1-M-A2) tanker hull, under Maritime Commission contract (MC hull 1525) at East Coast Shipyards Inc., Bayonne, N.J. Commissioned USS Gualala (AOG-28), 25 August 1944, LT. Gerald T. Allworth, USCG, in command. Decommissioned, 29 March 1946, at Kaiser Shipyard No. 2, Richmond, CA. Largest Boom Capacity 4 t.
two Diesel-drive 75Kw 120V D.C.